Today is the first weekly traffic report for US facing online poker sites on Minimumdepositgambling.com. US poker players seem to have little options these days. Its a smart idea to keep track of which poker sites have the most players on them. Nobody wants to sign up to an online poker sites that has very little games going on whenever you sign in. Revolution Gaming Network flagship poker site is Lock Poker. The poker network average 1,100 players online over the past 7 days. This place them #1 on our list for US traffic. Bodog Poker Network flagship poker site is Bodog. The Bodog Poker Network US facing poker site is Bovada. The network average 1080 players online over the past 7 days. This place them #2 on our list for US traffic. This network is highly recommended to join because the tables are soft given that most players are really gamblers enjoying a break from the casino or sports betting. This may be the easiest poker site to make a deposit on for US players. Merge Gaming Network flagship poker site is CarbonPoker. The poker network average 720 players online over the past 7 days. This place them #2 on our list for US traffic. Since the move to a new cashier, I believe the Merge Gaming Network will see a spike in traffic after the next few months. The past 6 months haven’t too kind to the network given the deposit issues, PDCPoker.com closing and moving its player base to Aced.com, Black Chip Poker moved to Winning Poker Network, and the popular merge skin RPMPoker.com closed without notice. Winning Poker Network flagship poker site is TruePoker. Since Black Chip Poker joined the network they have seen a boost in traffic. The poker network average 335 players online over the past 7 days. This place the network #3 on our list for US traffic. With the best withdrawal time among all US facing sites this poker network will bring in the sharks (the best poker players). Not recommended if you’re just trying to have fun or build a bankroll while learning how to play poker. Chico Poker Network average 320 players online over the past 7 days. We recommend BetOnline on this network if you enjoy playing poker, betting on sports or playing in the online casino. However, if your mean focus is poker then we recommend checking out the Bodog network. Seals With Clubs is a poker site for players who don’t want to give out their information. It averaged only 20 players online over the past 7 days. That’s no surprise since its a new poker site that’s not on a poker network. The only way to deposit and withdraw is with BitCoin e-currency. That is the US poker traffic report for 12/31/2012. 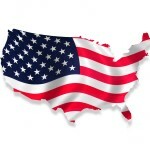 Come back next Monday on Jan. 7th 2012 for the next weekly traffic report for US poker traffic. I am sure things won’t change much. However, I predict over the next few months the Bodog poker network will become the top US facing online poker network.